In the second part of the three-part interview with rediff.com's Vicky Nanjappa, Subhash Gatade, author of Godse's Children -- Hindutva Terror In India, says that only continuous vigil by people would ensure that the law of the land remains supreme. 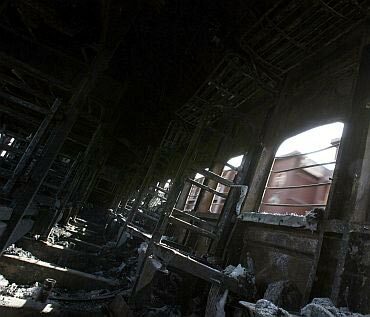 The Samjautha Express, Mecca Masjid, Malegaon and Ajmer blasts. Do you think all these cases will reach the logical end or would they just be political tools for any government in power? One sincerely hopes that all these cases which have clearly shown involvement of Hindutva activists in terror acts reach the logical end. It would not be mere cliche to say that the future of India as a secular democratic country rests on just resolution of these cases. Three factors are of key importance in these cases: It is expected that the Congress, which is leading the government at the Centre as well as many states does not dither on its commitment to the people of India which it formally made in its 125th anniversary celebrations held at Burari, Delhi (2010) as far as reaching the masterminds of this case and putting them to justice. Secondly, the Bharatiya Janata Party's actions would be closely under scanner. Whether BJP, which lost the bid for power in 2004 and 2009 for its prevarication on the issue of secularism, would understand that 'faith based terrorisms' of every hue is equally bad and dangerous for smooth functioning of democracy. Thirdly, a key role in this connection has to be played by the peace and justice loving people and formations in the country. They will have to emphasise through democratic means that law of the land remains supreme and there should not be any dillydallying on this score. Continuous vigil by people would ensure that these issues do not become political tools to settle scores. You say that Hindutva terror has finally emerged and it was the Nanded blast which was the turning point. Do you think this was the beginning of Hindutva terror in India? As I explained earlier, while bomb blast at the house of Laxman Rajkondwar, a longtime RSS activist on April 6, 2006, which killed his son and another activist, definitely brought to the fore this phenomenon, it cannot be said to be the beginning of Hindutva terror. In fact, Hindutva terror has had a long gestation period in our country. 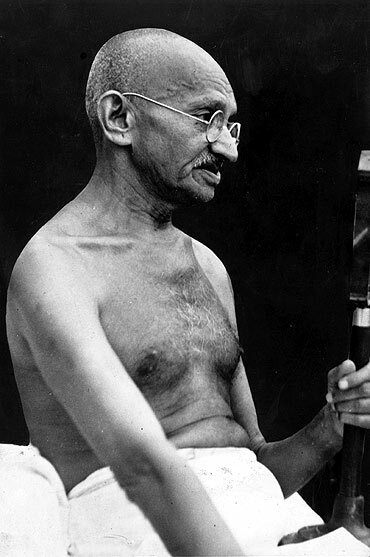 What would you call assassination of Mahatma Gandhi? Definitely, it was an act of terror. According to Chunnibhai Vaidya, a renowned Gandhian from Gujarat, there were total six attempts on Gandhi's life during a span of 14 years which involved Hindutva radicals. One can refer to other examples in the book, the point one wants to make is that the likes of Sadhvi Pragya, Lt Col Srikant Purohit or Sunil Joshi cannot be considered exceptions; they are carriers of the 'Godeseian legacy' in Hindutva politics. Do you think the RSS is involved in such incidents of terror? And if yes, why is it not being probed enough? How does the involvement of a particular organisation in particular heinous acts be deciphered? There could be two ways to understand it. Firstly, one traces the actual perpetrators/executioners of these acts who are part of such an organisation, then declare that the particular organisation is very much involved in these acts. Secondly, one lays hands on decisions taken by the highest leadership of the organisation which exhorts/appeals its followers to engage in such acts supposedly to further the 'cause'. 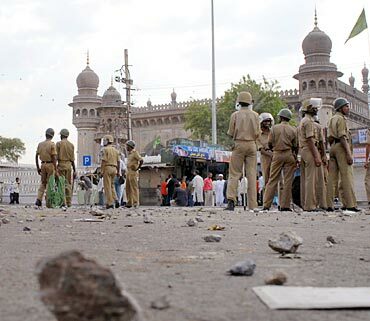 As far as terror acts such as Mhow (1999), Bhopal (2002, 2003), Nanded I (April 2006) and Nanded II (Feb 2007) to the likes of Malegaon I (Sep 2006) and Malegaon II (Sep 2008), Kanpur (August 2008), Tenkasi (2007) and many of their ilk are concerned, you will find that participation of activists of RSS or its affiliated organisation has been noted and first information reports have also been lodged underlining their involvement. Coming to the second layer, many accused have pointed fingers to few senior leaders of RSS for their tacit support to their work. The likes of Assemanand, Bharatbhai or accused in the first Nanded bomb blast etc, have even shared how they were exhorted by them to engage in such acts. A very senior leader of Vishwa Hindu Parishad was in touch with Lt Col Purohit and the transcripts available with Anti-Terrorism Squad Maharashtra in connection with Malegaon II bomb blast tells us how he met with him to in a hotel in Mumbai. The book quotes many such incidents widely reported in the media. While the RSS has formally denied that it is involved in such terror acts, it remains to be seen how such a strict hierarchical organisation can explain 'waywardness' of so many of its activists. How do you rate the job done by the investigating agencies regarding this aspect? It has been highly unsatisfactory. It is beyond a sane person's comprehension that why the intelligence agencies or security people in the country have not taken up the task in the right earnest. A serious lacunae in the investigations is that these agencies have refused to 'name' organisations involved in such terror acts and have always tried to 'individualise' the cases. Do you feel that these cases would go under the carpet if the BJP came to power? Look at the way BJP has handled acts involving Hindutva terrorists. Wherever it has been in power earlier, one tends to conclude that its approach has been far from professional. An impression has gathered that it has 'used' such acts to further stigmatise/terrorise the minority community. Independent analysts have noted that terror acts by Hindutva fanatics could be unearthed only when BJP exited from power (Ajmer bomb blast, Samjhauta Express blast etc) or whenever Congress -- with all its weaknesses -- held the reins of power (Nanded I and II, Malegaon I and II, Thane, Margaon, Goa etc). The classic case of Sunil Joshi's forays into terror acts is worth underlining. This RSS pracharak, along with his colleagues was found to be involved in bombing of temples in Mhow ( late 1999s) or planting of bombs in Bhopal (2002 and 2003) when Ijtema -- a congregation of Muslims is held under the aegis of Tableeghi Jamaat. Cases were registered against him and his band for these acts, but when Congress led by Digvijay Singh lost power in 2003 elections, and the BJP took over, all these cases were silently forgotten. If proper action could have been taken in these cases, one could have saved many innocent lives later. Take the case of Modasa blasts which occurred within few hours of Malegaon blast (September 2008) in similar circumstances and manner. Looking at the similarity of the cases, Hemant Karkare, the then chief of ATS Maharashtra, offered some help to his Gujarat counterparts, but it was refused. Now with renewed investigations, one discovers that it was the same terror module which executed the blast. That is why the Narendra Modi-led government in Gujarat was not ready to unearth the real culprits. Don't miss the third and final part of this interview on Tuesday.